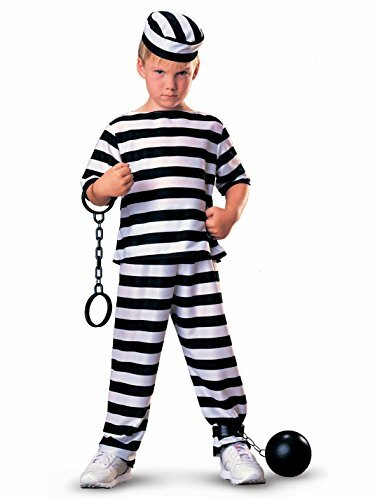 Escape the long arm of the law in this Burglar Child Costume. You receive a black and white striped dress that has pockets in front. A pair of black gloves and eye mask are included. Complete it all with a cap to wear and money bag. 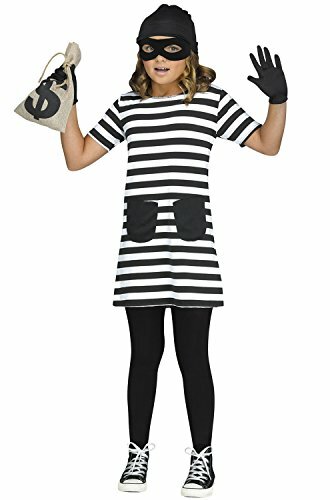 Select the Burglar Child costume for your little one to have a fun time playing the part. It is simple and easy to wear for Halloween parties, playing dress up, or putting on a performance. 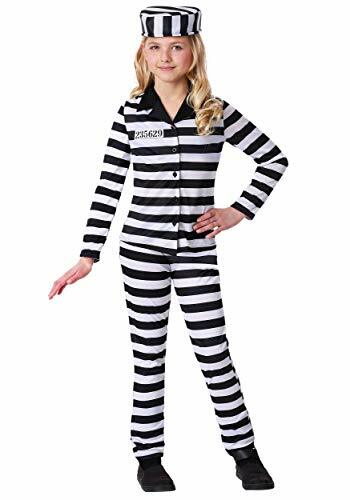 Our Girl's Prisoner Costume is the ideal Convict Costume for kids. 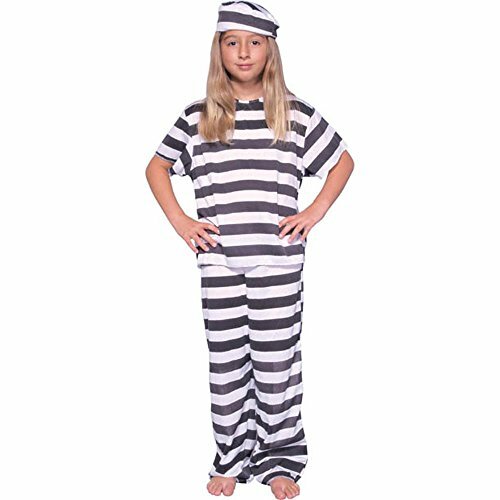 For a jailbird family costume idea consider any of our Prisoner Costumes for the entire family. 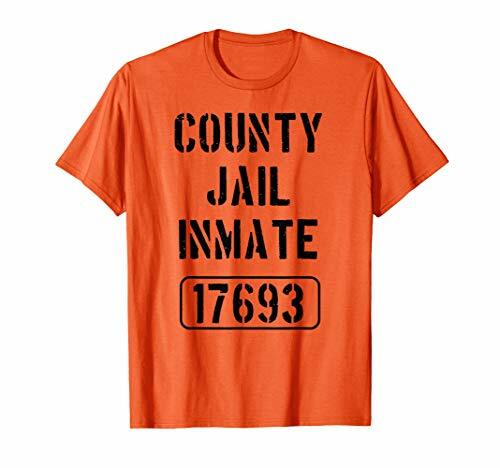 Grab this cool prisoner costume tshirt as your ideal outfit for halloween or party!